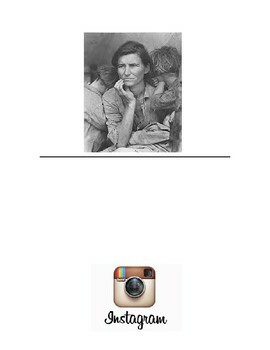 These pages can be used for a group activity or as an independent learning activity. 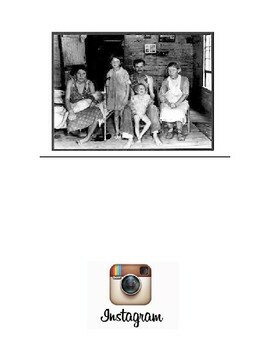 Each page has a photo taken from the Great Depression. Students study the image and put themselves in someone else's shoes to reveal what they were thinking as the image was taken. 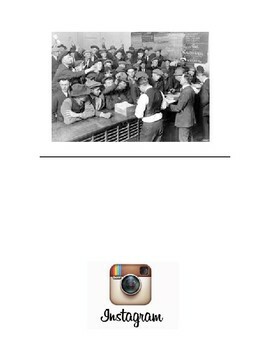 Students create a "post" by acting like they are the person(s) in the photo posting to Instagram during that time period. 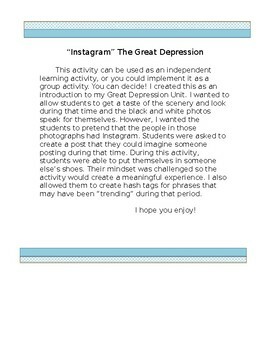 This creates a meaningful experience for them as they begin to learn about the struggle that was The Great Depression.